In a pretty good College Football game on Friday, a pair of unbeaten teams will square off in Tampa, as the Fighting Illini of Illinois will take on the South Florida Bulls. The Fighting Illini are coming off back to back wins over Ball State and Western Kentucky in their first two games. The Illini are starting Big Ten play in their next game. For South Florida, they are coming off a postponed game against Connecticut due to Hurricane Irma. The Bulls have two wins on the season; over San Jose State and Stony Brook. South Florida comes into this game as the favorite over Illinois. You can bet the South Florida Bulls -17 over the Illini of Illinois. The South Florida Bulls are looking to stay perfect before they start their conference play next week at home against Temple. The Bulls are favorites to win the East Division of the American Conference. South Florida has scored 36.5 points per game in their first two games, and allowed 19.5 per game. Quenton Flowers is a great quarterback, and possibly the best in the American Conference. He has gotten off to a slow start, with just 200 yards per game via the air. The quarterback has been helped by his lead running back Darius Tice, with 151 yards and 3 touchdowns in the first two games. Lovie Smith and the Fighting Illini have been impressive to start the 2017 season. The Fighting Illini have especially picked it up defensively, allowing 14 points per game. The Illini on the offensive side have not been great, but certainly got the job done in the early going. The Illini quarterback is Chayce Crouch, with 252 yards passing on the season. Mike Epstein has been great on the ground with 16 carries per game, and 82.5 yards per game. Mike Dudek leads the receiving core for the Orange and Blue with 93 yards and a touchdown. The Illini host Nebraska next week. The South Florida Bulls are one of the Top 25 teams in all of College Football. But, with a week off, expect a little rust from them. Lovie Smith is coming back to a town where he spent a couple seasons as the head coach. This game has plenty of narratives, and should be a good game for those folks that were ravaged by Hurricane Irma. The Fighting Illini have the momentum with a game where they played very well over Western Kentucky. Illinois has done a nice job defensively, and they should be able to defend the Bulls more often than not in this game. While the Illini do not win, they compete and cover the spread in this game. Bet the Fighting Illini +17 over the South Florida Bulls. 5Dimes – Bet on the South Florida Bulls -17 at 5Dimes. 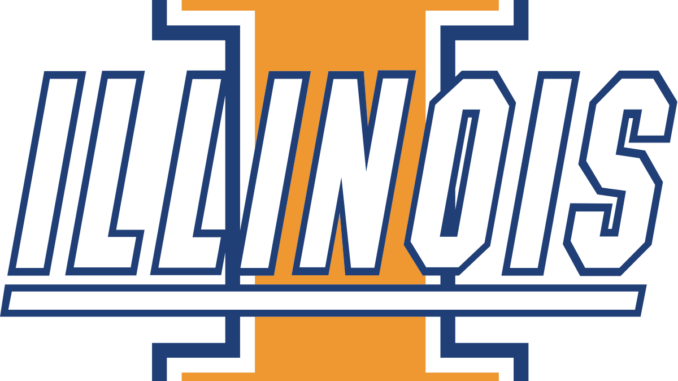 Bovada – Bet on Illinois Fighting Illini +17 at Bovada.